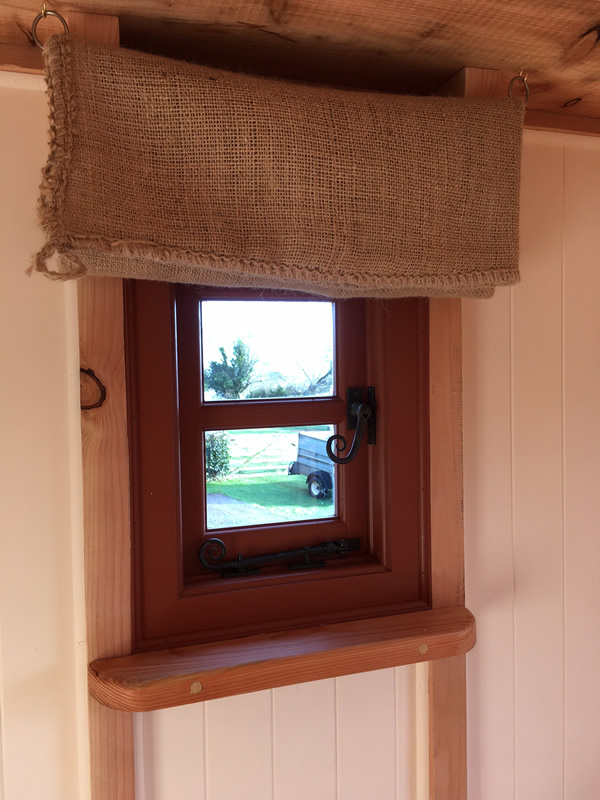 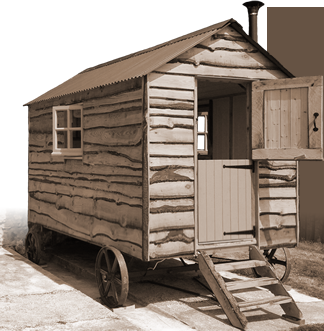 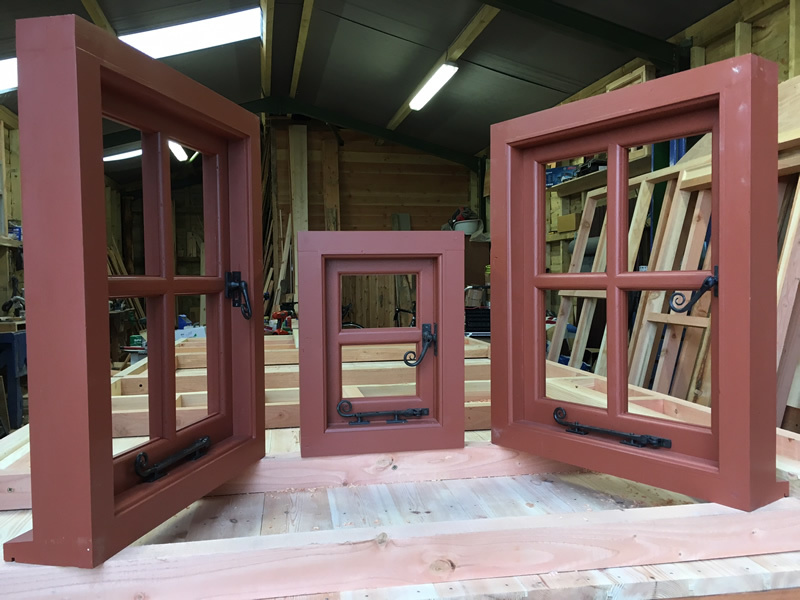 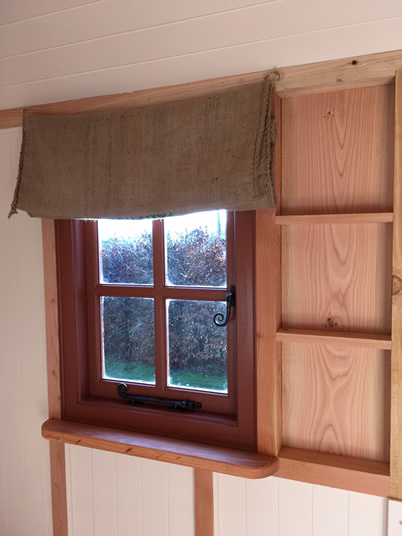 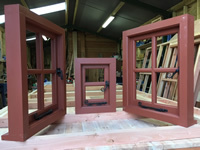 The quality redwood windows are of a traditional Georgian design and made by ourselves. 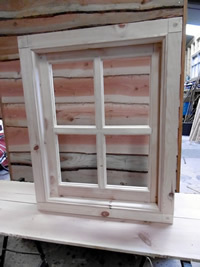 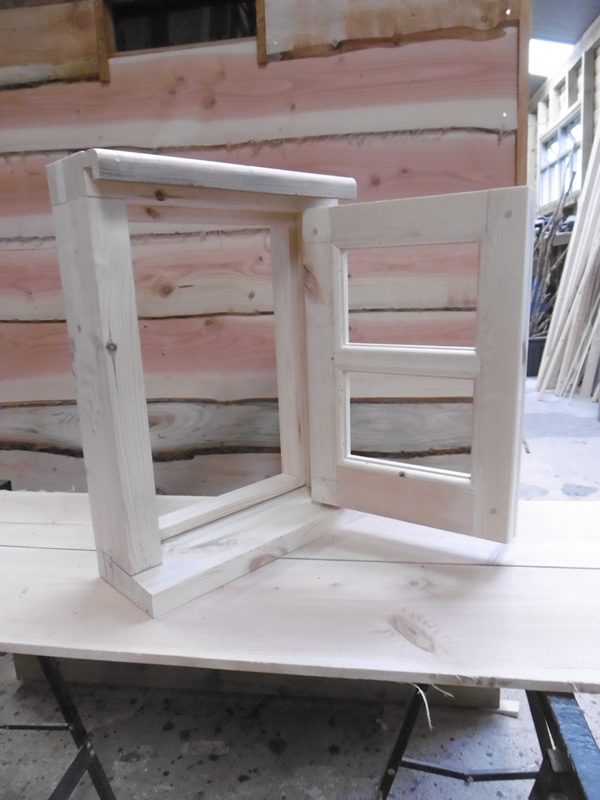 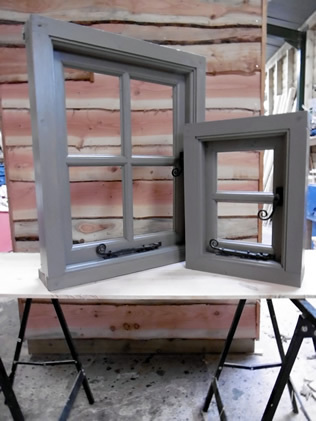 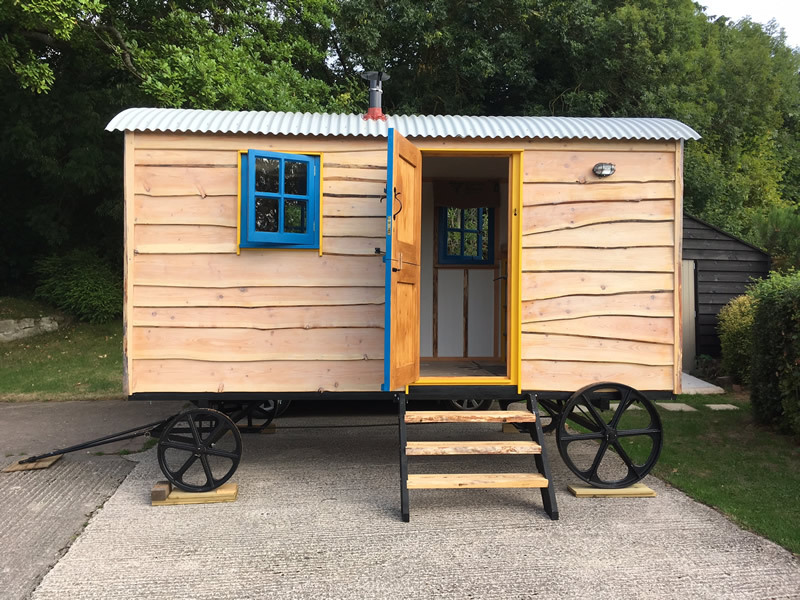 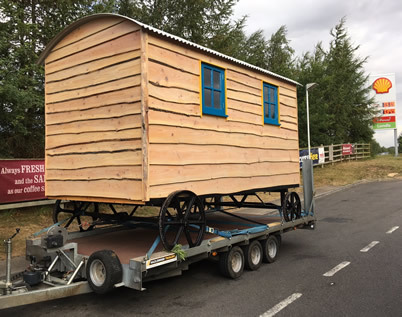 The standard size for the side windows is 24" wide by 30" tall and the small window on the end has an opening of 15" by 20". Other sizes are available on request. 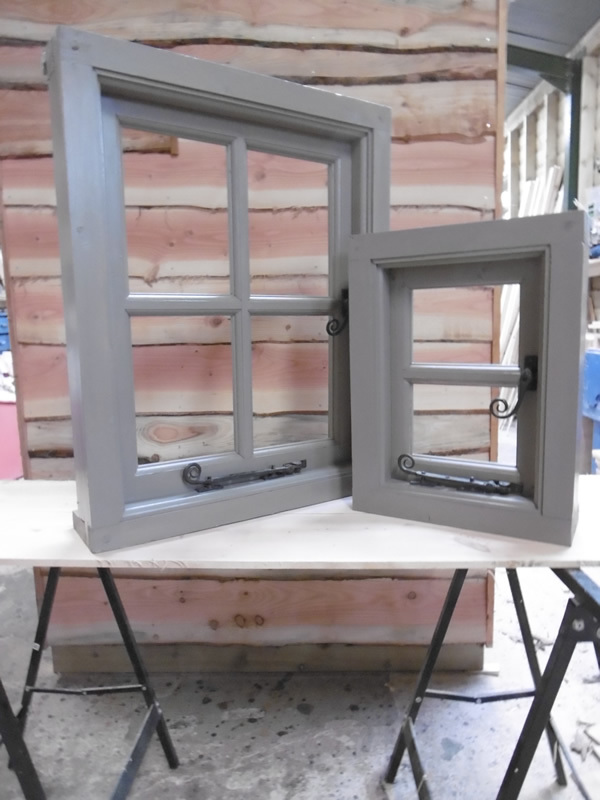 Hand forged wrought iron fittings are used throughout.